Just as Heavenly Father taught Adam and Eve about agency, we need to help our children understand and exercise theirs. When Heavenly Father formed Adam and Eve, they were innocent. They didn’t know a lot about life and its consequences. But Heavenly Father walked with them and taught them, and He was patient with them as they learned about their existence here. As parents we also have the privilege to be with our little ones and teach them. However, I think that sometimes we may forget that our children are also the spirit children of our Heavenly Father. We have a responsibility to help them learn their first lessons, and it is our mission to guide them toward the Savior Jesus Christ. If we follow the example of Heavenly Father in the Garden of Eden, we will take upon ourselves the responsibility of nurturing our children and instructing them about the gospel of Jesus Christ. As we do so, we need to teach them about the consequences of their actions. This is not an easy task, since we ourselves are still learning, and we sometimes fail to do our Heavenly Father’s will. And sometimes we want to step in and rescue our children even when they would benefit by learning from their mistakes. Heavenly Father patiently taught Adam and Eve about agency from the beginning. He gave them commandments, consequences, and the ability to exercise their agency, saying, “Of every tree of the garden thou mayest freely eat, but of the tree of the knowledge of good and evil, thou shalt not eat of it, nevertheless, thou mayest choose for thyself, for it is given unto thee; but, remember that I forbid it, for in the day thou eatest thereof thou shalt surely die” (Moses 3:16–17; emphasis added). We may wonder how to encourage our children to follow the commandments without forcing them to do so. There are several things we can do that can help. We can teach our children the gospel, especially from the scriptures, then live in accordance with those principles. We can teach them by word and example to rely on our Heavenly Father and share with them the blessings that come through living the gospel. We can teach them that because of our weaknesses, we as parents need His love, mercy, and patience as much as our children do. Sometimes, when our little ones misbehave, we may begin to lose hope, but our Father in Heaven will never lose hope in us. We must learn to see our children as our Heavenly Father sees us: as His sons and daughters with the potential to become like Him through the power and grace of His Son. We do not have the power to save our children, but we can be good examples and exercise faith in their behalf. We are not here to force anyone to do Heavenly Father’s will. Of course, the amount of freedom and responsibility we give our children will depend on their age and abilities. As we help our children exercise their agency appropriately, it will be easier to teach them and love them, no matter what they do. Our Heavenly Father knew that Adam and Eve would be tempted and would eat of the tree of knowledge of good and evil. He had already prepared a way for them to come back through His Son. He sent an angel to teach them about the atoning sacrifice of our Savior, the principles of repentance, and how they could call upon God in the name of the Son and gain a remission of their sins through the mercy and love of Heavenly Father (see Moses 5). As we express love for our children and teach them that even if they go astray, we will stand firm, hoping and praying for them that they will find joy through faith in Jesus Christ and true repentance. As we keep these principles in mind, we will be blessed to be filled more abundantly with the pure love of Christ and will have greater success as parents (see D&C 121:41–46). 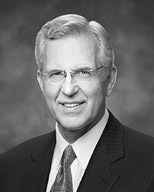 Elder D. Todd Christofferson of the Quorum of the Twelve Apostles, “Moral Discipline,” Liahona and Ensign, Nov. 2009, 107.